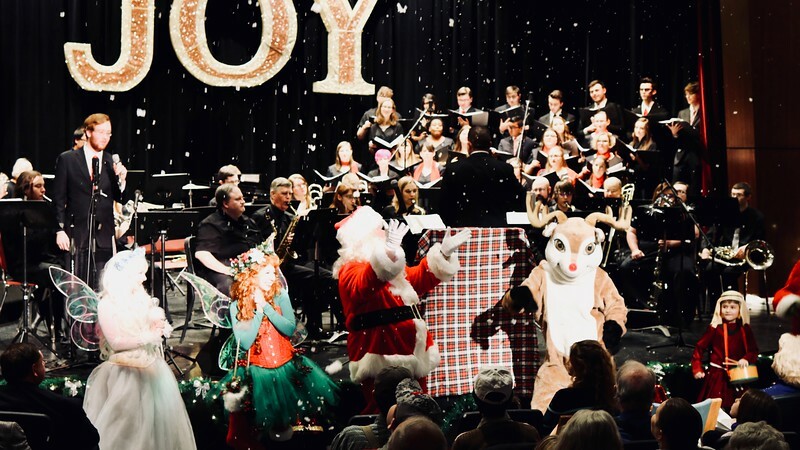 The Motlow State Community College music department presented a pair of holiday concerts during the first week of December on the Moore County campus. Motlow student members of the vocal ensemble are: Renaecker Alexander, Shannon Barrett, Kimberly Berry, Lauren Clardy, Jasmine Damron, Constance Dodson, Alyssa Domina, Tiffany Drake, Ethan Duke, Mary Margaret Edwards, Christina Fulkerson, Mary-Elizabeth Gibbons, Suzanne Herbs, Derek Hernandez, Michael Higdon, Ryan Hill, Zachery Hughes, Trevor Ivey-Bodman, Laraina Kehrer, Elizabeth Kingery, Nathaniel Nichols, Racheal Overman, Sarah Raymond, Justin Reddekopp, Carah Rigsby, Leah Seier, Jeremy Smithson, Elizabeth Stambaugh, Alexis Stewart and Emily Yardumian. The community band, comprised of students and several talented local musicians, features Motlow students Meagan Crawford, Ethan Duke, Justin Duke, Derek Hernandez, Michael Higdon, Ryan Hill, Braydon Holzinger, Jennifer Mills, Ryan Ocheltree, MaryAnna Patton, Patrick Phongsa, Justin Reddekopp, Ross Sloan, Jeremy Smithson, Sam Stewart and Christian Vassar.